If you work with influencers, you’re no stranger to the “micro” vs. “macro” debate: what are the relative merits of working with influencers who have a smaller reach across social platforms versus creators with large followings? Some marketers assume that low-reach (micro) influencers, who have yet to achieve celebrity status, have higher engagement rates because they are more accessible and authentic. Because micro influencers also charge less than macro influencers to create content for brands, they seem to be more cost-effective. High-reach (macro) influencers, meanwhile, help spread brand awareness to the largest number of consumers, while lending their celebrity cachet to the brands they choose to promote. However, these macro influencers may cost more to work with, and due to their relative celebrity probably have lower engagement rates than micro influencers. Because macro influencers often use talent agents to manage their work, longer negotiation periods and longer content creation cycles can be an issue. For a lot of reasons, the micro vs. macro debate can be confusing and complicated. 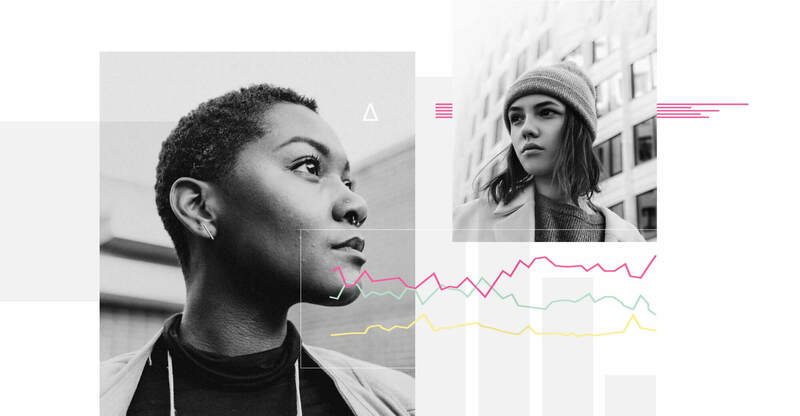 When our customers asked us to provide a data-driven perspective on the matter, we created this report by analyzing terabytes of campaign and performance data we’ve accumulated over the years, including over 70,000 content posts across all relevant social platforms. We look at the data through a quantitative lens, with an eye to strategy as well. WHAT IS A MICRO INFLUENCER, ANYWAY? Definitions of micro and macro vary widely across the industry. Some brands define micro influencers as virtually anyone on social media who is not a Hollywood celebrity. Others define micro influencers as anyone with fewer than 1,000 total followers. But most marketers have converged around the idea that a micro influencer has a total reach between 5,000 and 100,000 followers. That’s still a pretty big range! 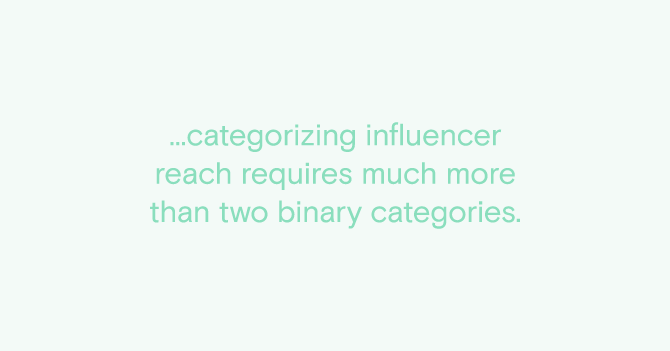 It’s apparent that categorizing influencer reach requires much more than two binary categories. Instead, social content creators lie along a wide spectrum of influence. 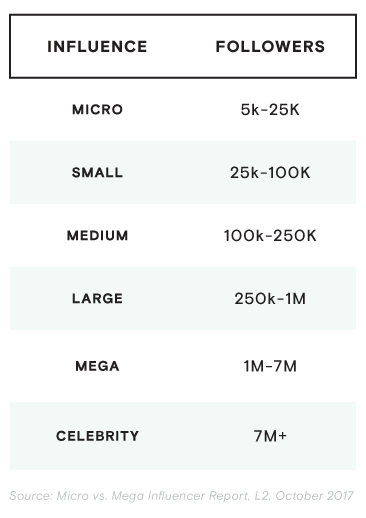 In their October 2017 Micro vs. Mega Influencer Report, the research firm L2 defined six tiers of influence, ranging from “micro” to “celebrity”. Creators with fewer than 5,000 followers were not included – anyone with fewer than 5,000 followers might more accurately fall into the user-generated content category. 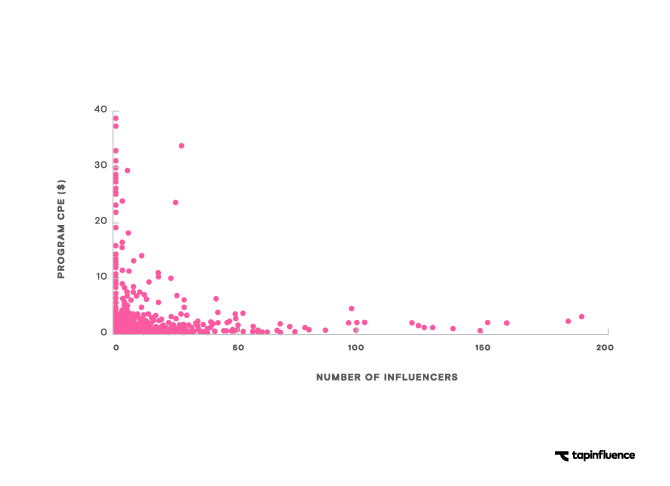 What does the data say about these influencer tiers? 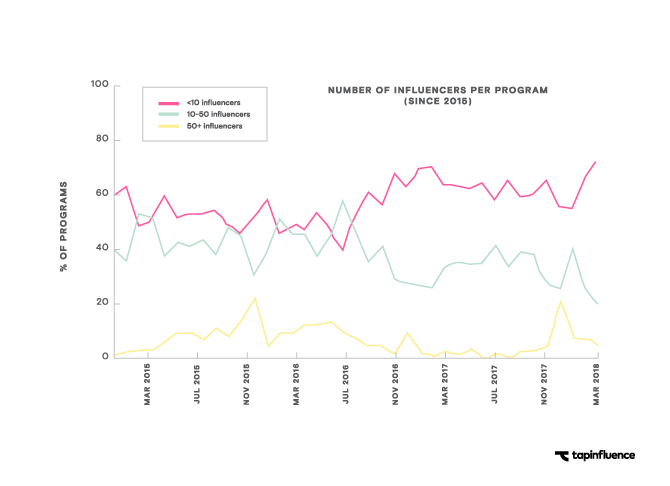 Using L2’s influencer tiers, we pulled the social engagement rates of each influencer cohort. 95% of influencers in each tier fall somewhere below the green bar, while 75% of influencers in each tier fall somewhere beneath the magenta bar. It’s clear that social engagement rates diminish consistently as total reach grows. 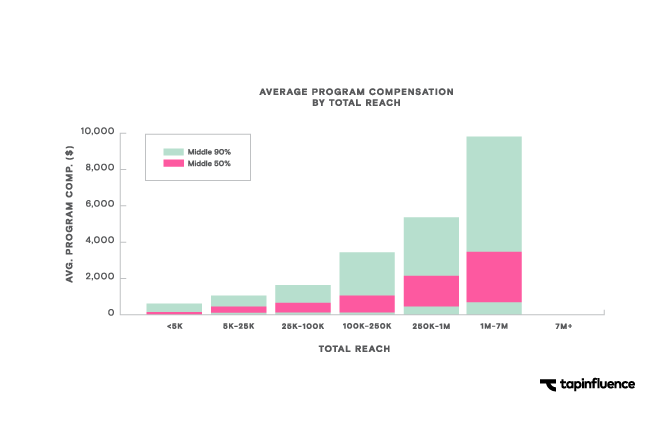 The following chart shows average compensation paid to influencers, broken down into their L2 tiers, for 70,000 social and blog posts created in 2017. Compensation to influencers rises steadily as total reach grows. Here is the same data in broader groups. 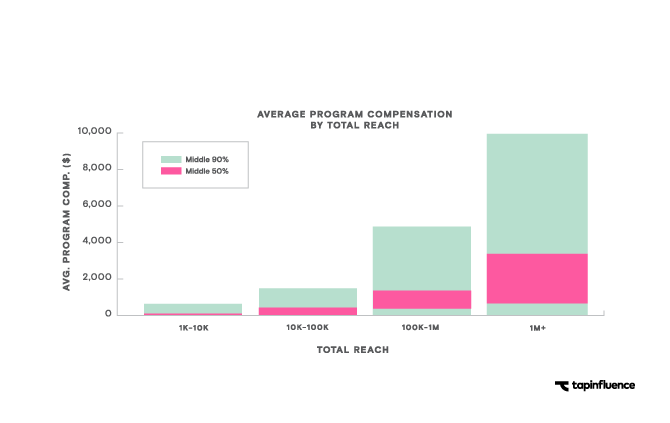 Program cost dramatically increases for creators with more than 100,000 in total reach. 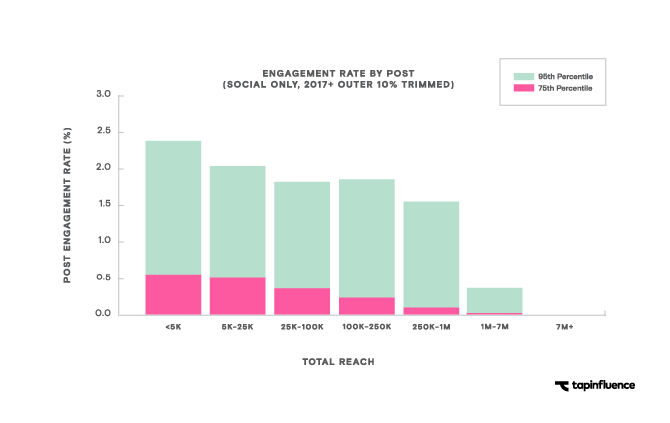 Despite all the chatter about micro influencers, marketers are working with fewer low-reach influencers today than they were two years ago: campaigns in which the influencers’ median reach is less than 25k have decreased from 15% to about 5%. 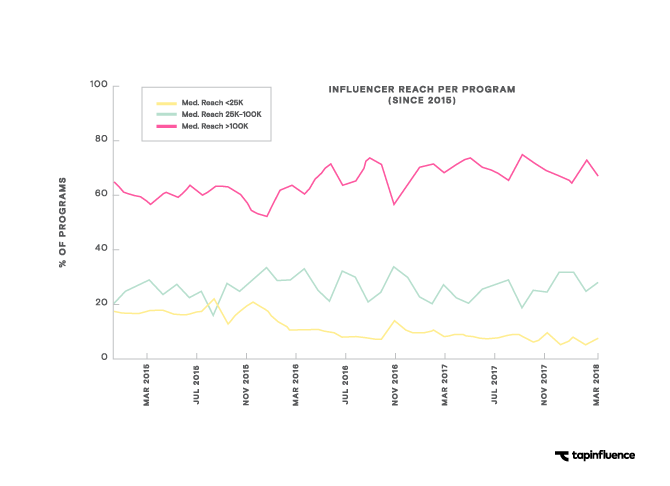 As more influencer campaigns include high-reach influencers, the number of influencers per campaign is decreasing. 65-70% of campaigns run in TapInfluence in 2017 have fewer than 10 influencers, vs. about 50% in 2015. This may be due to a renewed focus on brand ambassadors and “always-on” strategies with influencers who have been identified as top performers. Brands are prioritizing close influencer relationships, longer-term contracts, and brand advocacy in 2018. Recently, our data science team analyzed top-performing campaigns that had posts “go viral,” or receive an unusually high number of engagements. 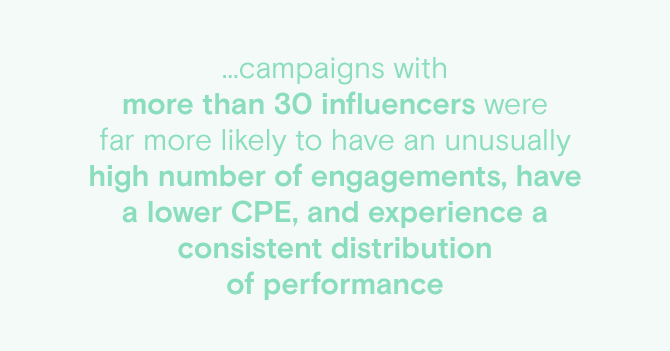 They concluded that campaigns with more than 30 influencers were far more likely to have an unusually high number of engagements, have a lower CPE, and experience a consistent distribution of performance. The chart to the right shows that when a campaign contains only one influencer, the CPE becomes erratic and unpredictable. 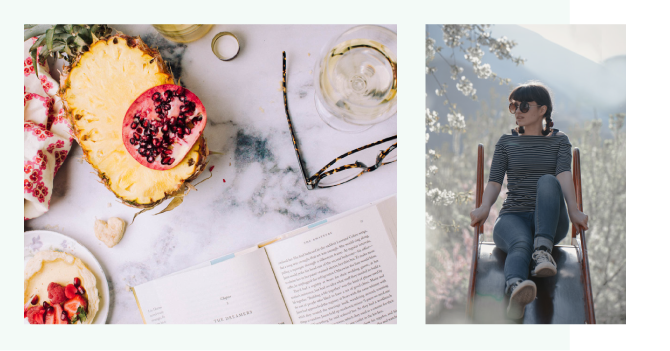 When working with macro and micro influencers, consider that the effectiveness of your campaign may differ depending on how many influencers are in that program. The brand enlists two influencers with 100,000 each in total reach on Instagram. Each influencer charges $1,000 per post and has an engagement rate of 0.3%. The brand pays a total of $2,000 for 600 total engagements. The brand works with 10 micro influencers, each with 10,000 in reach. Those influencers charge $200 each and have an engagement rate of 0.6%. The brand pays $2,000 for 600 engagements. In the first campaign, the engagement rate was lower, but the brand potentially reached more consumers. In the second scenario, the influencers were more efficient, but the brand reached fewer consumers. Of course, slight changes in rates and reach could tip the scales in favor of one campaign type over the other. However, assuming that the only objective of the campaign is to get a compelling engagement rate, a high reach, or a large total number of engagements is a pretty limited viewpoint. So when marketers ask, “Which campaign type is better?”, how does TapInfluence respond? Do you have the ability to scale? You may have the resources to work with many micro influencers. With scale, you could achieve the volume of total consumer actions you need for a more efficient price point. But what’s the opportunity cost of spending time finding those influencers and negotiating with them? If you don’t have a scalable framework, you may not be able to employ enough micro influencers to realize their cost efficiency. Are there enough micro influencers out there to meet your needs? Perhaps you have a niche product or highly specific campaign need and you don’t have vast creator options. Do you own the media budget? If you can amplify influencer content in paid social and programmatic, influencer ad units will typically perform 4-8x better than branded creative. Such ads can extend the reach of a micro or macro influencer affordably, in a very targeted way, and without a lot of work. This could impact the ratios of influencer types you employ. Was this campaign for a new product launch and you hoped to get this new product in front of as many eyeballs as possible? In that case, it may be simpler and faster to work with a few high-reach influencers. Or was the goal of this campaign to target hard-to-reach demographics in geo-targeted locations? Perhaps a regional influencer with a highly engaged audience makes the most sense. Do you intend to repurpose this content in other marketing channels – and how? For example, will the content fuel social, mobile, or web experiences? How much are the creative agency fees to design and produce a piece of content? With larger quantity content needs, it would be better to have ten great pieces for $100 each, instead of one piece for $1,000. At the same time, one great piece of content from a truly talented macro creator might be better quality and have better production value than that of some low-reach influencers with less experience. What’s your voice and aesthetic? At the end of the day, an influencer is a creator, not a media buy. The more we approach them as creators, the more we maximize the potential of their work. Leveraging micro and macro influencers in tandem is often a winning strategy. 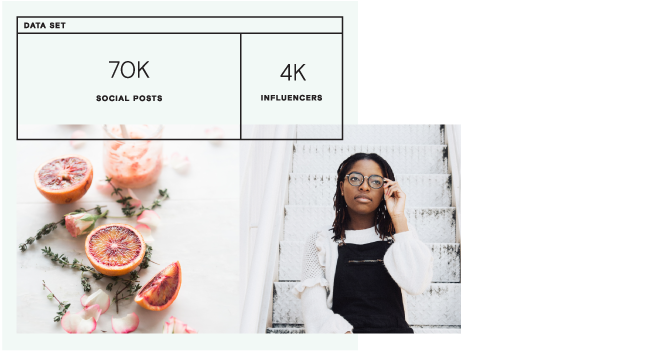 If you’re asking yourself if micro or macro influencers are better for you, remind your organization that the influencer landscape is a spectrum of reach and expertise: this is not a binary choice. Then, establish your brand’s goals and those of the campaign. What KPIs will I use to measure success? Do the program contacts have time, resources, and scalability to run an influencer campaign with 30+ influencers? Do the influencers align with the brand’s voice and aesthetic? How many influencers in the social universe fit my criteria? What will I do with this content once it goes live? Is there budget and resources to promote influencer content with targeted ads? Every brand is different, every campaign is different, and every influencer is different. There’s no silver bullet. While there is no silver bullet when it comes to influencer marketing, we can derive data and proven strategy about the relative merits of various influencers tiers. Use this data to make more informed decisions that define success for your brand.